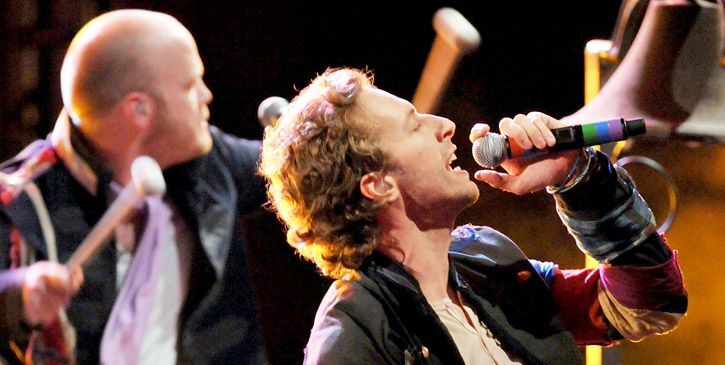 After a stirring introduction from Incredible Hulk stars Edward Norton and Liv Tyler, Coldplay take the 2008 MTV Movie Awards stage to perform "Viva La Vida," their new album's title track, for the first time in front of a live audience. 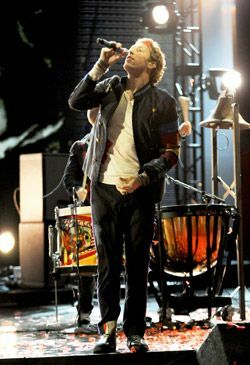 Looking like more of a rockstar than ever before, Coldplay frontman Chris Martin rips through brand-new single, "Viva La Vida," pacing wildly through explosive updrafts of confetti at the 2008 MTV Movie Awards. 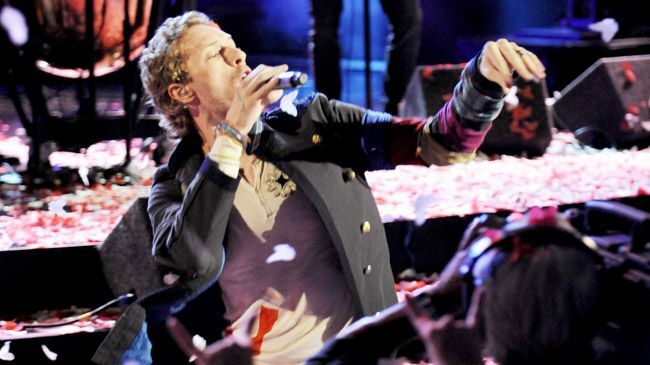 Chris Martin's face takes on a heavenly glow mid-way through Coldplay's "Viva La Vida," at the 2008 MTV Movie Awards. The song's title is borrowed from a painting of watermelons by Mexican painter, Frida Kahlo. 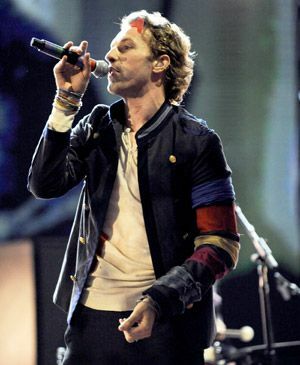 Chris Martin belts a chorus of "Viva La Vida," the title track from Coldplay's Brian Eno-produced new album, at the 2008 MTV Movie Awards. Did we MENTION the new Coldplay album is subtitled Death And All His Friends? 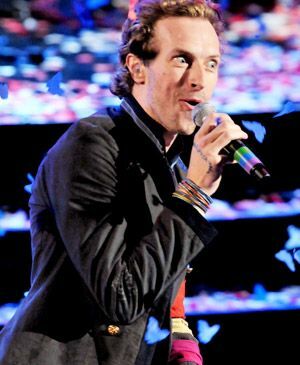 Maybe that explains the diabolical look on crazed Chris Martin's face as he performs at the 2008 MTV Movie Awards. 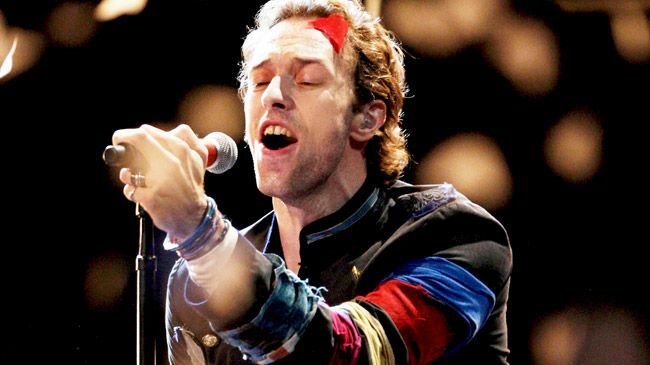 Amid showers of multi-colored confetti, Coldplay lead singer Chris Martin dispels stereotypes of bad British teeth by flashing his pearly whites as he performs at the 2008 MTV Movie Awards. 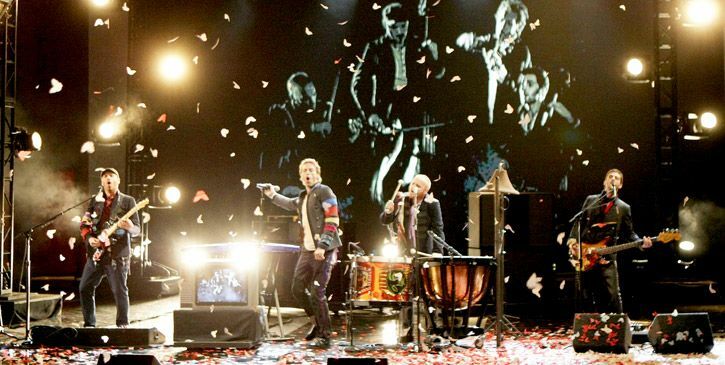 Backed by a symphonic screensaver and bombarded with confetti, Coldplay put an arsenal of instruments to use in their pulse-quickening 2008 MTV Movie Awards performance of "Viva La Vida." 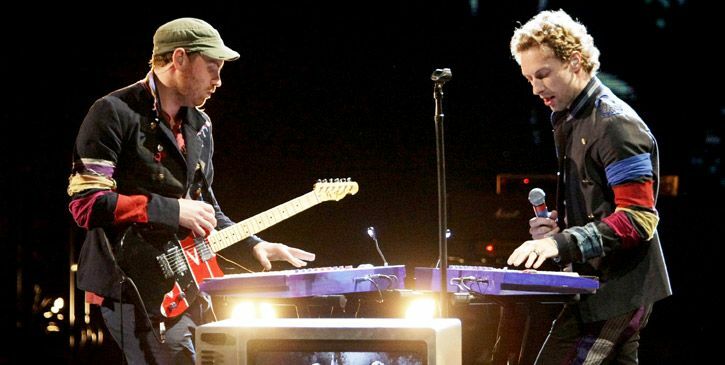 Jonny Buckland and Chris Martin trade keyboard riffs during Coldplay's performance of "Viva La Vida" at the 2008 MTV Movie Awards. OK! It's official! We're switching over to photos of Pussycat Dolls now! In case you missed the memo, they performed "When I Grow Up" at the 2008 MTV Movie Awards. Pussycat Dolls are very busy. Melody Thornton hails a taxi, Kimberly Wyatt salutes a mini sailor, Nicole Scherzinger points out the exit doors and Jessica Sutta gives birth to Ashley Roberts in performance at the 2008 MTV Movie Awards. It's written all over their faces: Pussycat Dolls are working REALLY hard. Flexing their ways through "When I Grow Up," they look more like athletes than musicians at the 2008 MTV Movie Awards. High atop a marquee that blares their name in Broadway lights, Pussycat Dolls strike a variety of poses to the delight of the 2008 MTV Movie Awards audience. Nicole Scherzinger turns her purr up to a growl, kicking Pussycat Dolls' performance of "When I Grow Up" into overdrive as Kimberly Wyatt preens in the background at the 2008 MTV Movie Awards. To the right! Pussycat Doll Nicole Scherzinger gestures wildly as the group's 2008 MTV Movie Awards performance of "When I Grow Up" approaches its fiery finish. It’s written all over their faces: Pussycat Dolls are working REALLY hard. Flexing their ways through ‘When I Grow Up,’ they look more like athletes than musicians.